How do you know when it’s time to replace your tyres? Our vehicles are our prized possessions, giving us the freedom to travel anywhere and smoothly navigate the roads. However, our cars and motorbikes won’t remain the same pristine vehicles that first came out of the dealership; they require a lot of maintenance and replacements to keep running smoothly. Replacing your tyres can be an arduous task that most people put off, but ignoring the warning signs of ageing tyres can damage your vehicle and become unsafe for you and others around you. Here are three ways to tell when it’s time to invest in a new set of wheels. A bold tyre is most easily distinguished by the tread. Like the fingerprint of the wheel, the outside should be clearly indented instead of smooth so that it can easily grip to the road’s surface. 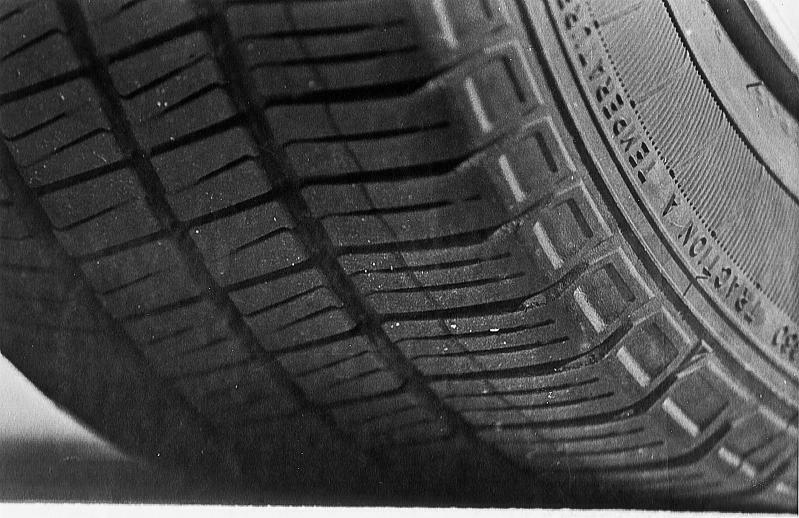 A tyre’s tread depth should never fall below 1.6mm, if it does then it’s time for a replacement. You don’t always have to go to a garage to check a tyre’s tread depth, simply insert a 20p coin and if you can see any part of the coin’s outer band then your tyre tread is too shallow and unsafe. The sides of your tyres are subject to a lot of road and debris impact; subsequently, they are prone to developing tears and rips. If grooves in the sidewalls are visible to the naked eye then it might mean that your tyre has some irreparable damage. Replace the tyre before the rip gets any worse, or risk a potential tyre blowout; this will not only cause damage to your car but it is also extremely dangerous for you and other road users. A small amount of vibration is normal when you’re driving and more extensive in smaller vehicles. When the vibrations go beyond what’s considered normal, you might need to get your vehicle looked at. One possible cause for the shaky drive is worn tyres that are no longer able to support the car’s basic functions. Our comparison site makes finding the perfect set of tyres for your vehicle so much easier. Browse today and drive in safety.